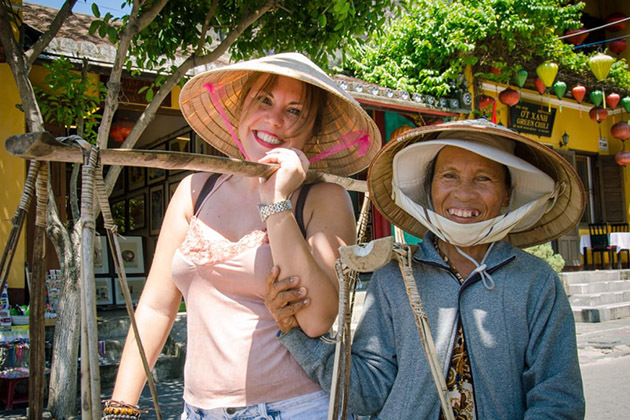 Take your family to an in-depth holiday of Hanoi Vietnam, your day tour starts from Hanoi in North to Sai Gon in South Vietnam. Approach thousands of years old city of Hanoi, it’s also a chance to watch and learn Vietnamese traditional arts like Water puppetry, visit the ethnic people in Sapa. Your family will be served on the deluxe cruise ship in Halong Bay. The better things stay at least, let’s take up an interesting way of exploring the dynamic Sai Gon city before exploring the mystery inside Cu Chi Tunnels. 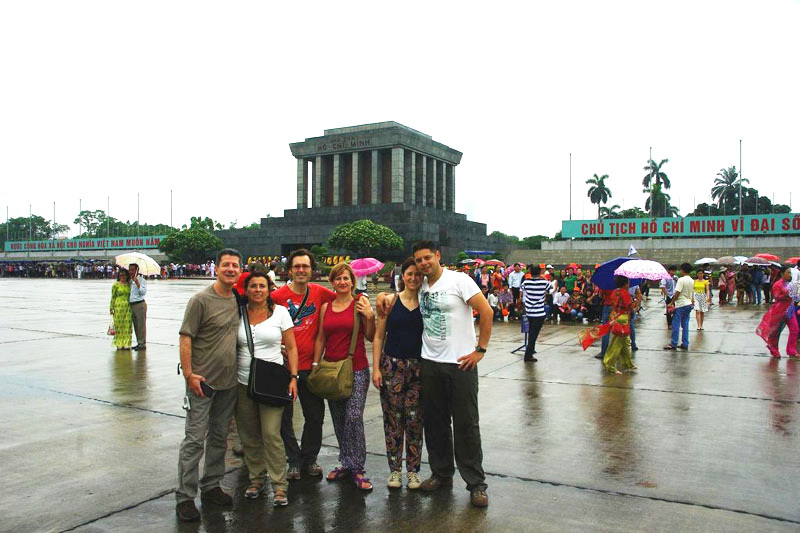 Please check the inspired itinerary for the best family tours from Hanoi! A warm welcome to Hanoi, the heart of Vietnam, we get started to discover the charming and authentic city with rich history. The first day of the trip will have more free time than others for you to relax and make acquaintance with Hanoi, free shopping. 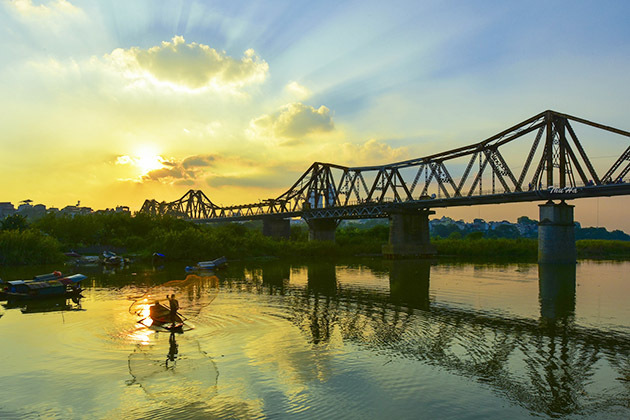 You can watch the gorgeous sunset in Long Bien Bridge at the late afternoon and then transfer back to Hanoi center to watch the Water puppet show. It is a great experience for you on staying in Hanoi to learn more about the special art of Vietnam. The morning of the second-day trip starts by the scenic drive to Bat Trang Ceramic Village, which is only 13 km from Hanoi center. 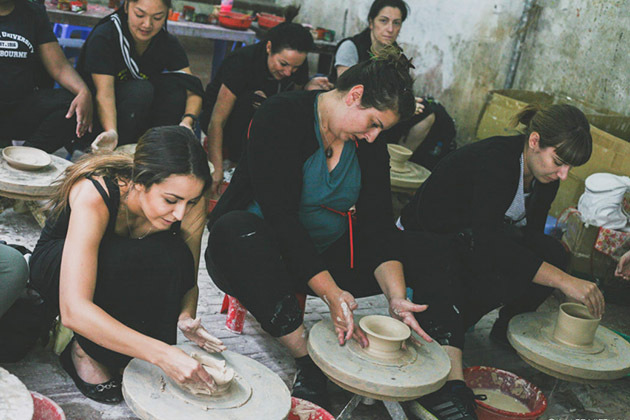 Arriving Bat Trang, we will stroll around the village to visit the ancient houses, see the artisans at their work, have the chance to witness the process of molding and carving clay pots, dishes… Better still, tourists can join in a pottery class and make your own ceramic products. The afternoon activities are in Hanoi with a lot of must-see landscapes. We will visit Vietnam Ethnology museum, which can be seen as the interesting museum in Hanoi where displays 54 Ethnic Groups of Vietnam. It’s also the best way for you to learn about the diversity of Vietnam. The trip continues with the first university in Vietnam, Temple of Literature and find out more about these stone turtles inside. The next two-day in our trip promises to satisfy you by the most stunning spots in North Vietnam, first, let’s visit Sapa. It absolutely enchants tourists just for a short introduction! 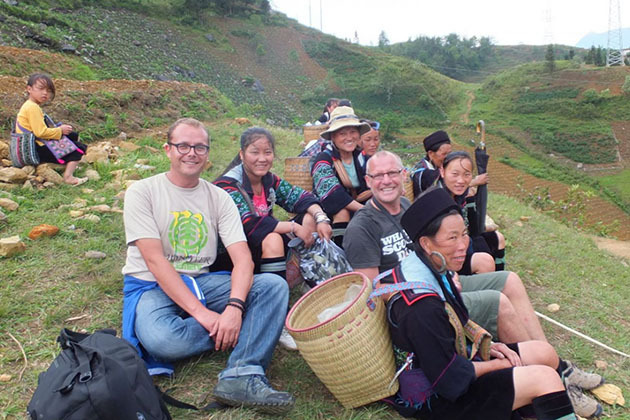 Visit the local market in the center of Sapa Town to meet and exchange with the local people here. Then we stick to the footsteps uphill to reach the top of Ham Rong Mountain for catching the majestic scenery of the surrounding region. Ham Rong mountain is shaped like the head of a dragon dimly looming in the thin veil of the morning. That is why we can say that Ham Rong is a fine combination of man-made and natural scenery, it’s completely the best appealing spot in the center of Sapa town. + Ma Tra village lies on the East of Sapa Town and is home to the H’mong and Red Dzao ethnic minority. It can be said that visiting the village is really authentic with fewer tourists and almost intact. Coming to Ma Tra, visiting here can find something original, highly recommend. + Ta Phin Village is where the Red Dzao and Black H.mong share the land to live. Experience a local lunch with the local, meet and try the traditional costume of Red Dzao people must be an unforgettable experience. 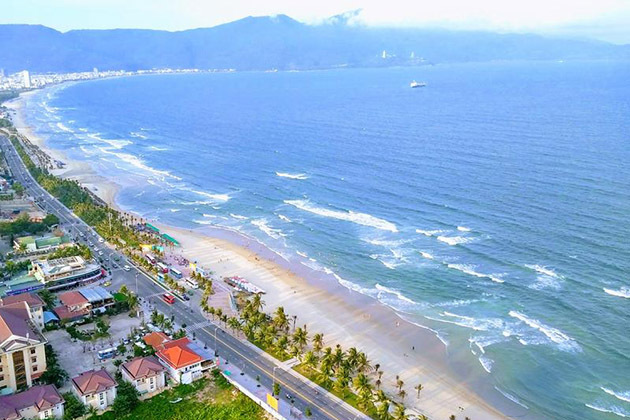 Da Nang, the third largest city in Vietnam, is a flawless stop for those who need a break from touristy areas. Da Nang is not only famous for charming beaches as My Khe but also famous for authentic local cuisines. Dang Nang, in some way, is a mediocre place but special if you want to dig deeper than what is on the surface. The ancient and peaceful Hoi An is definitely one of the most popular destinations in Vietnam, it can feed the traveling hungry of tourists. Come and taste it your way! 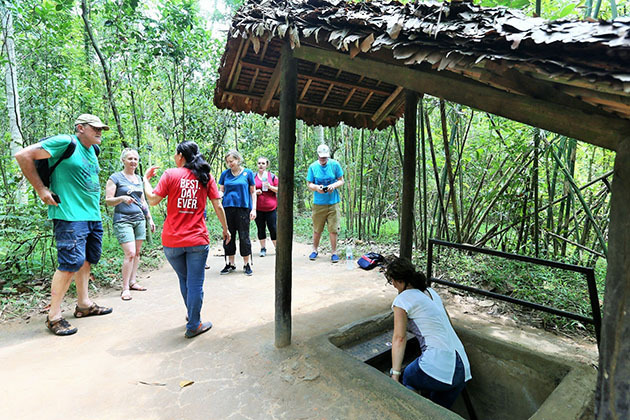 Visit Cu Chi Tunnels give you the chance to learn about Vietnamese history and people here, find out the impressive efforts of Vietnamese in the war to fight against the enemy. 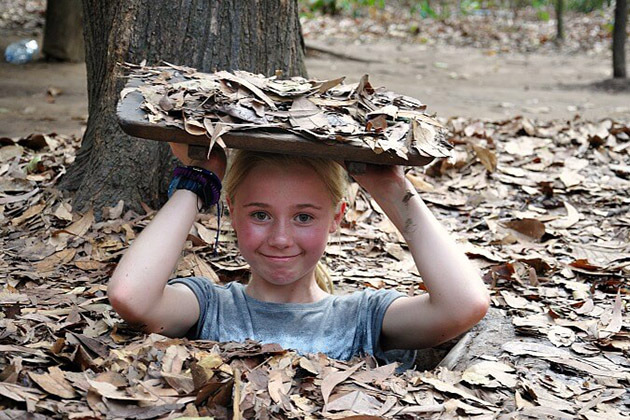 Cu Chi Tunnels has many small tunnels which are home, school, the hospital in the past, come and try it! Ho Chi Minh City tour brings us to the French Constructions like the Old Post Office, Notre Dame Catholic, Ben Thanh Market, or Independent Palace. Do the attractions above inspire you? Don’t forget to leave comments to tell us how you feel, and besides these destinations, it is flexible for you to add or design the tour itinerary based on the interests of your family! Tell us you wish through Hanoi Tailor-Made tour service.